Starting with my humble vintage collection, i am planning to talk about vintage watches in this section. I will try and touch many important points that should be kept in mind while searching for the right piece. 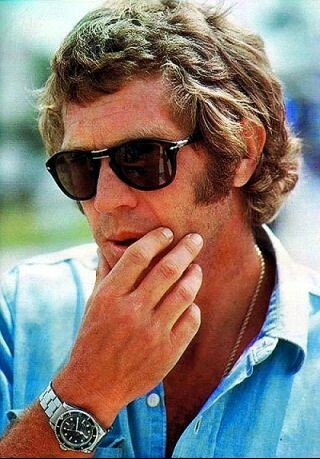 Also i will pass on my personal experiences, and will try to create an enjoyable series of read for those who are willing to acquire their first vintage timepiece or who already had. Vintage .. If we look where the word has derived we see that the origin of the word is not very close to the vocabulation of it of todays. It was used to reveal and label the harvest year of the grapes that were being used for making of the wine, as now it is widely being used as a fashion term. 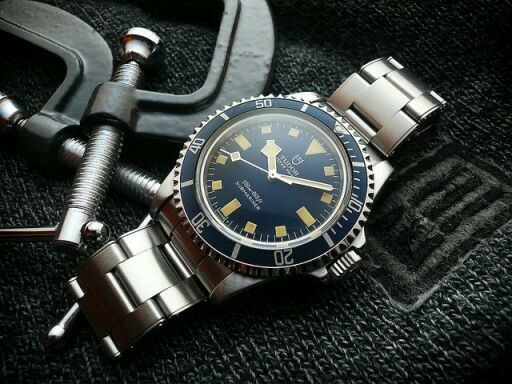 The description of ''vintage'' is over 30-­35 years for the many of the watch collectors, but we can see this showing difference for those who have to put some standarts for definitions such as Ebay; over 50 years and below 100 years ..
Also as they label ''antique'' for the watches older than 100 years. The growing amount of the vintage lovers/collectors around the globe; Europe, Far East, America hosts many hobbiest from arts sports communities, celebrities and wide age group of people which yields to raising the prices of these worn faded beauties as the supply demand law. 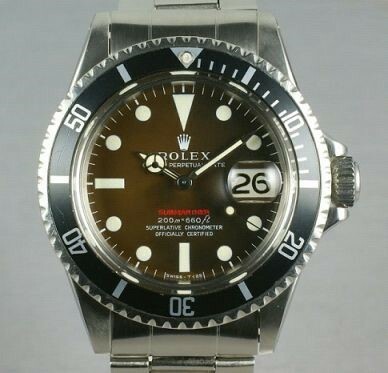 The modern watch industry investing on developing more durable materials to decrease the attrition to minimum such as the ceramic bezel which will last longer; made the vintage watches irreplaceable for many passionate collectors. 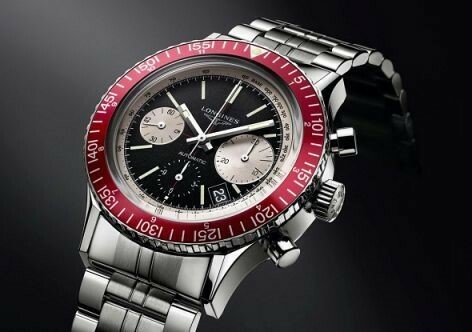 Also many watch brands following the ''heritage'' or ''re­issue'' trend and bringing back the old designs, and the inclination of the consumer to this shows us the popularity of the vintage designs nowadays. 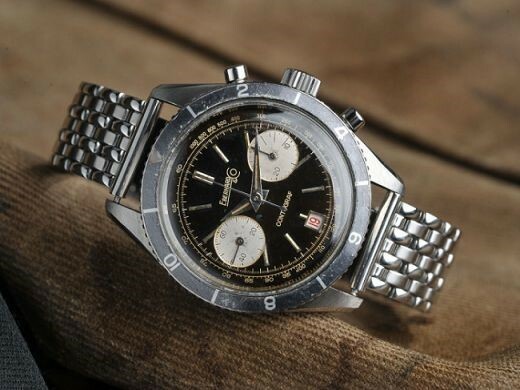 Each and every vintage watch comes with different stories, as they develop different characteristics after they have met their owners in different geographies and conditions. 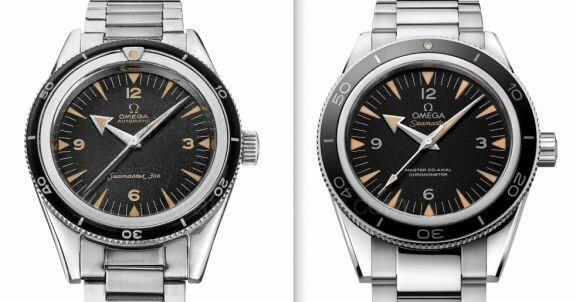 We can observe two of the same watch produced at the same periods with close serial numbers showing different characteristics as they were exposed to different conditions; and this makes the vintage more appealing for the collectors when it is compared to ''off the shelf'' products. 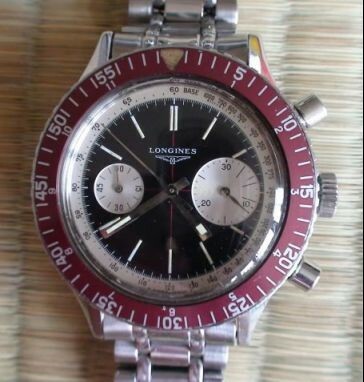 If you think the vintage concept is suitable for you, you might want to know that being and looking old is not one of the parameters for the value of the watch in this mystery world of vintage. 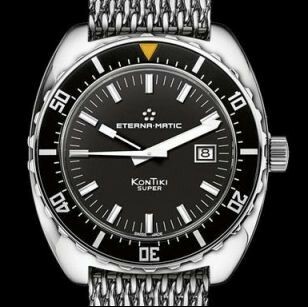 Infact it has developed a terminology of its own to describe certain conditions of the watches. 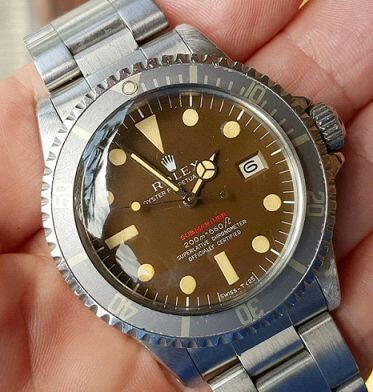 Tropical Dial: The black dial being exposed to heavy UV rays and transforming into a brown color is not a disadvantage infact it is a reason of choice. 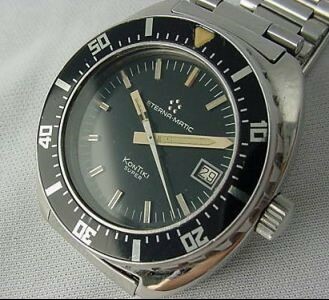 Patina: The unkown mystery of the Tritium material which was replaced by SuperLuminova later on. It's been thought that this phosphoric material applied on the hands and the index of the watch looses its whiteness due to the watch being left in the dark and humid environments for a long time. 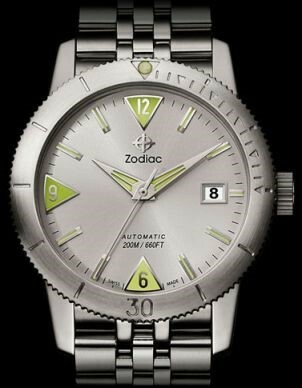 Faded Insert: Most of the inserts were aluminum, before ceramic and more durable materials were being used for the bezels to prevent from deformation.The original colors applied on the inserts fade and develop different hues due to UV rays and salty sea water. As a result the black turning into navy blue to light blue, brown to aubergine colors or different shades of grey (dark to very light which is known as ghost insert) became a fascination for the collectors. 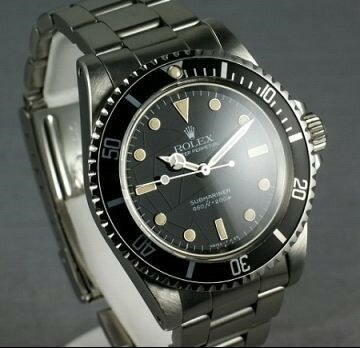 Spider Web: The deformation of some of the gloss dials that were used in 1980's for the Rolex sports models which are known as transitionals among the collectors. The dial cracking to different directions and forming a shape similiar to a spider web is one of the extreme cases of preference of deformation. 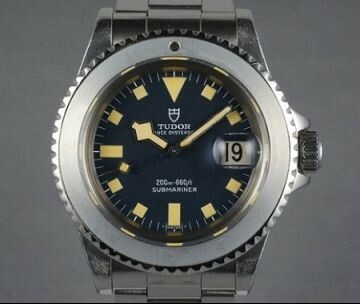 As all these terms indicating deformation of materials, they are some of the elements which affects the prices of vintage watches by the hobbiest and the watch dealers. 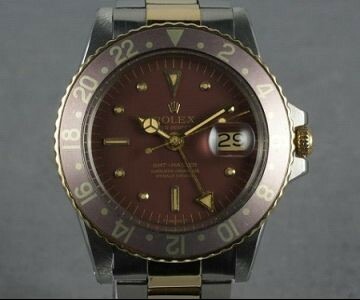 We can see on the sales notices' online how some of those points have an impact on the price of the watch. 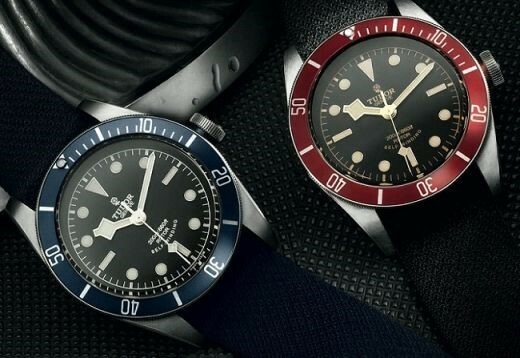 For example let's consider a full­set ''Red Sub'' being priced around 18.000$, as the price can climb to 45.000$ when it is a full­set ''Tropical Dial ­ Red Sub''. 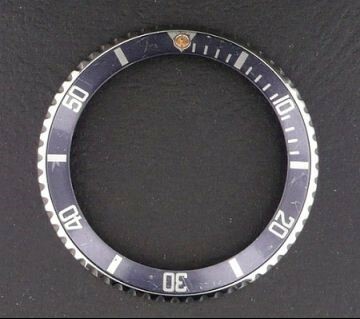 This wide price range is for the extraordinary and exotic look of this feature as much as it only appears at earlier serial subs known as ''Meters First" dials which were produced less in number. Daytona Ref. 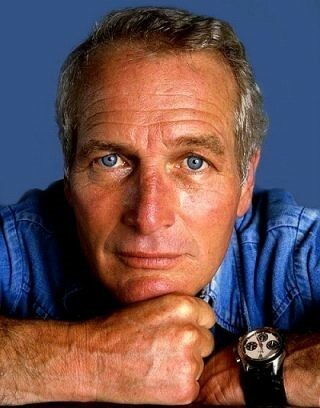 : 6239 Paul Newman Dial'' ­ certainly a grail watch for many collectors. 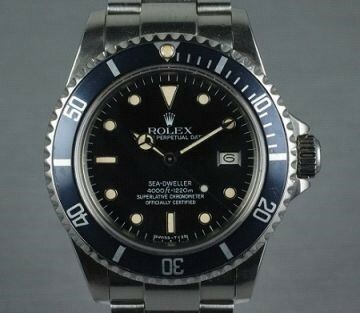 The process of buying a vintage watch could be more difficult and complicated compared to buying a modern watch. 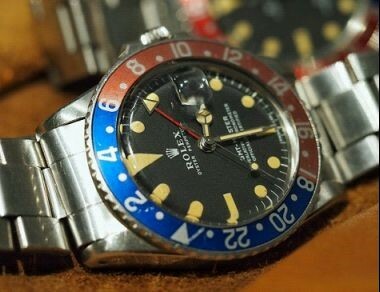 The first rule among the vintage collectors before acquiring your first piece is ''Do your homework''. Otherwise it could be an expensive lesson learned in a painful way. 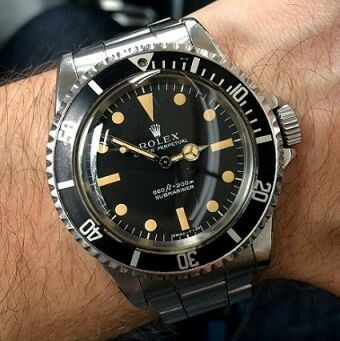 Especially for those who are new into vintage, should study the specific features of the watch they are interested. 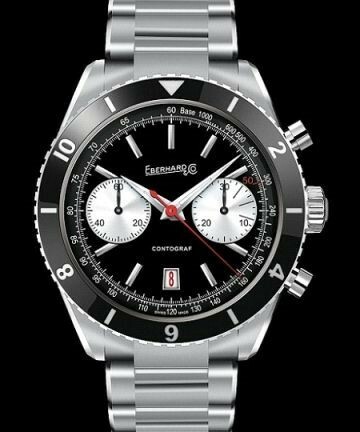 Searching and getting some feedback via internet or authorities if the market price and the overall condition of the watch is coherent. Many times it is hard to come by the model you are interested at the condition of your desire at an attainable location so that the searching period can be longer than planned. 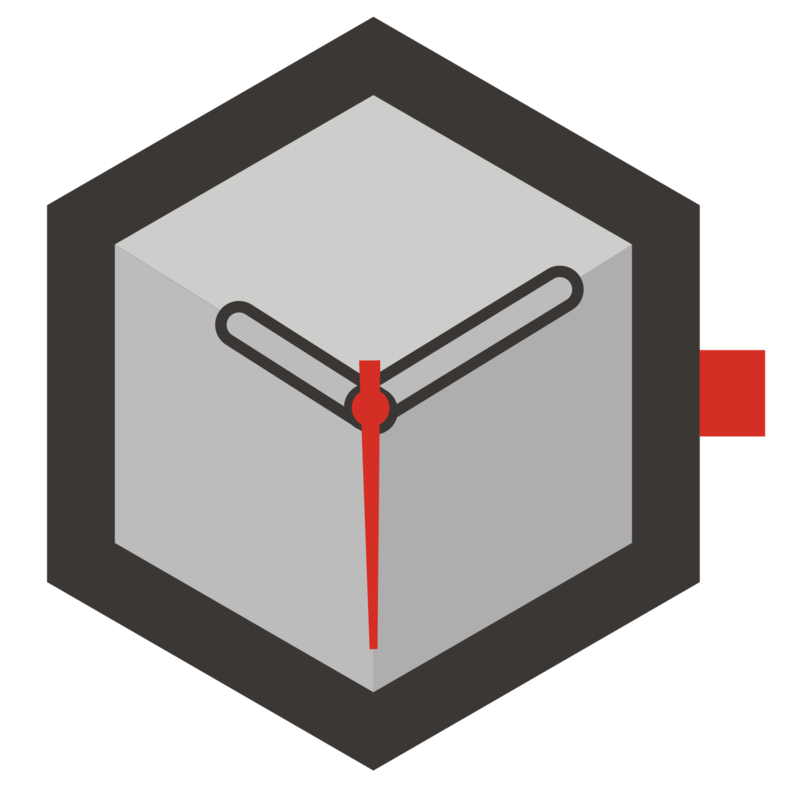 There is an unease for those watches that will be supplied overseas due to not being able to examine with naked eye and the custom procedures/fees you might deal with in the time of the arrival of the timepiece to your location. However this transforms into a very long lasting pleasure once you complete all the onerous stages right and holding your watch in your hands or wearing it on your wrist. 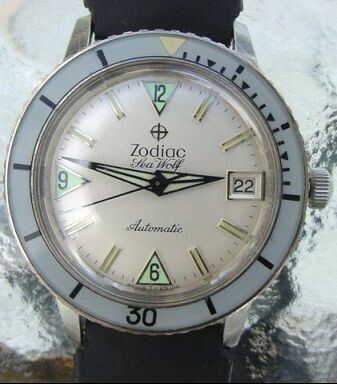 I hope to meet you in my first review of a vintage timepiece from my own collection next time ­until then good­bye.